Sen. Joe Keaveny receives a hug while walking out of the senate chamber on Friday. 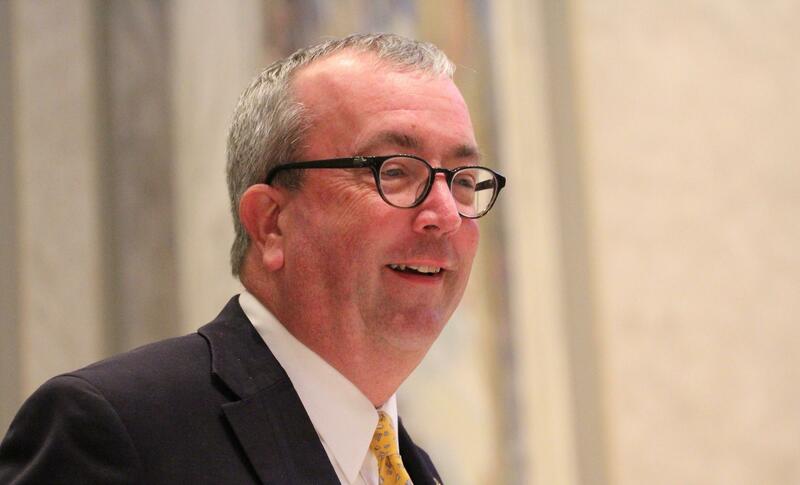 Keaveny announced he will resign from the senate to become an administrative law judge. Sen. Joe Keaveny plans to step down from his post to become an administrative law judge. Senate Minority Leader Joe Keaveny plans to leave his post early to become an administrative law judge. The St. Louis Democrat’s decision could set off an intense political competition to represent part of St. Louis in the Missouri Senate. Before the Missouri Senate convened today, Keaveny told St. Louis Public Radio that Gov. Jay Nixon’s office had approached him about becoming an administrative law judge. He said once paperwork and background checks go through, he’ll resign his seat. Nixon praised Keaveny at the governor's post-session news conference Friday. But Nixon declined to say whether an appointment was imminent. 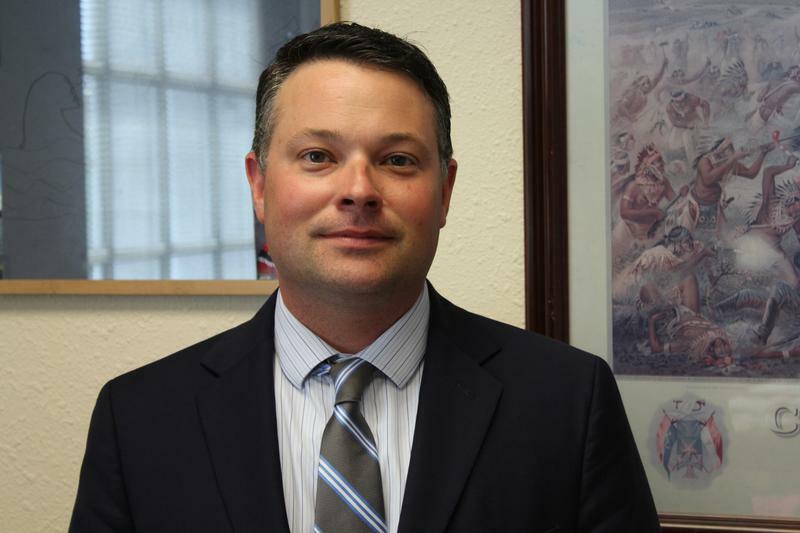 Keaveny was first elected to his post in a special election after Sen. Jeff Smith resigned. The only elective office he held before the Missouri Senate was 28th Ward committeeman, a post that he still holds. For years, Keaveny was known as a fairly low-key legislator who rarely tried to block legislation. He successfully handled a number of bills that were important to the legal community and the city of St. Louis. But after he was elected minority leader after the 2014 election cycle, Keaveny led a caucus that became especially adept at filibustering. He said it was one of the consequences of leading a diminished caucus that can still stop legislation through talk-a-thons. House Minority Leader Jake Hummel, D-St. Louis, speaks on the House floor before the end of the legislative session. Keaveny’s 4th District seat encompasses most of the western part of St. Louis and parts of St. Louis County. Because it’s a heavily Democratic seat, whomever Democratic committeepeople choose as their nominee will almost certainly become Keaveny’s successor. House Minority Leader Jake Hummel, D-St. Louis, confirmed that he would seek the Democratic nomination. Hummel, who is departing the Missouri House due to term limits, was already planning to run for the seat in 2018. Another person seriously considering vying for the nomination is state Rep. Michele Kratky. The St. Louis Democrat represents southwest St. Louis, which often has the highest vote turnout in the city. Other potential candidates include state Reps. Gina Mitten, D-Richmond Heights, Stacey Newman, D-Richmond Heights, and Karla May, D-St. Louis. Local officials like St. Louis Alderman Lyda Krewson, D-28th Ward, may also vie for the job. There are a lot of political machinations to consider, including who the committeepeople will be after the August primary election. Keaveny, for instance, is still a committeeman and will get to vote on choosing his successor. Hummel recently became the 11th Ward committeeman, while Mitten’s husband is a committeeman in a St. Louis County township. Keaveny's departure will also mean the seven-person Democratic caucus will need a new minority leader. Sen. Gina Walsh, D-Bellefontaine Neighbors, will take over for the upcoming veto session. It's possible that any of the seven Democratic senators (assuming they win re-election or, in Sen. Maria Chappelle-Nadal's case, is unsuccessful at running for another office) could permanently vie for the position. 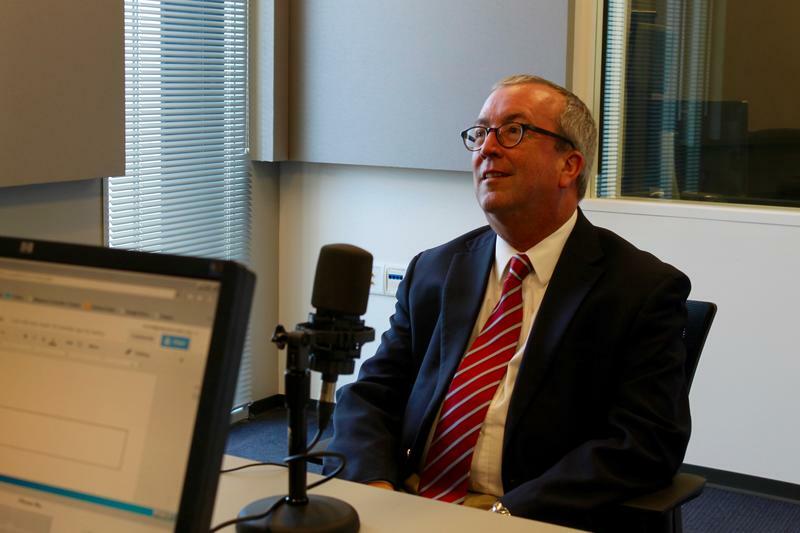 This week on the Politically Speaking podcast, St. Louis Public Radio's Jason Rosenbaum and Jo Mannies welcome back Sen. Joe Keaveny to the program. The St. Louis Democrat serves as the leader of the Senate Democratic caucus, a group that has consistently shrunk in numbers over the past few election cycles. But even though there's only eight members of his caucus in the 34-member Senate chamber, Keaveny and other Senate Democrats still have the power to block legislation as they see fit. JEFFERSON CITY - On the latest edition of the Politically Speaking podcast, St. Louis Public Radio’s Jason Rosenbaum and Jo Mannies are on location in Jefferson City for the final week of this latest Missouri General Assembly’s session. On Tuesday afternoon, the pair welcomed back House Minority Leader Jake Hummel to the program -- by stopping by his office. 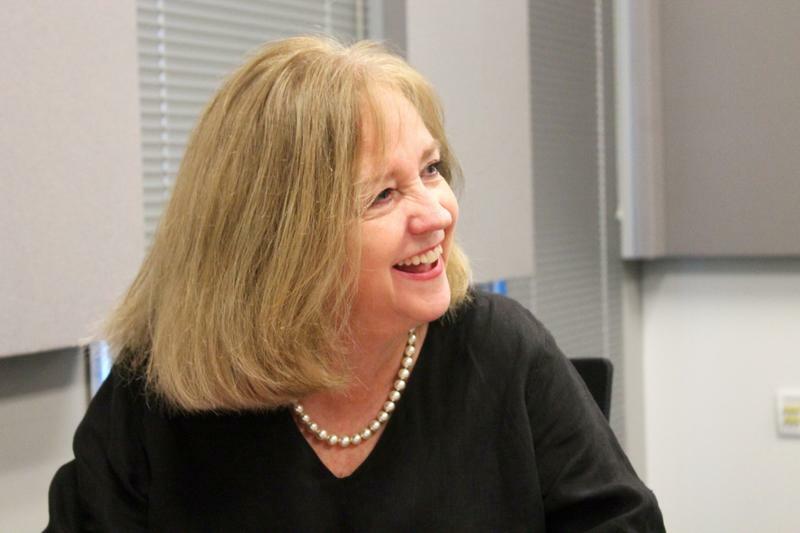 On the latest edition of Politically Speaking, St. Louis Public Radio’s Jason Rosenbaum and Rachel Lippmann welcome St. Louis Alderman Lyda Krewson to the show. The Moberly native has represented the city’s 28th Ward since 1997. Her ward includes some of the city’s most popular attractions, such as Forest Park, the St. Louis Zoo, part of ‘The Loop’ and the Central West End business districts.